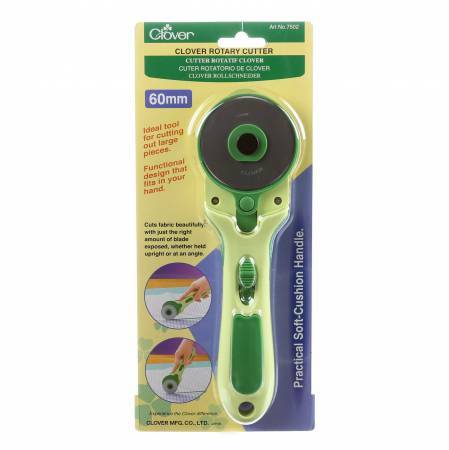 Clover Rotary Cutters are designed to cut fabric with just the right amount of blade exposed, whether held upright or at an angle. These blades have a practical soft-cushion handle that fits right in your hand. Convenient for both right and left hands. Read instructions carefully. 60 mm.